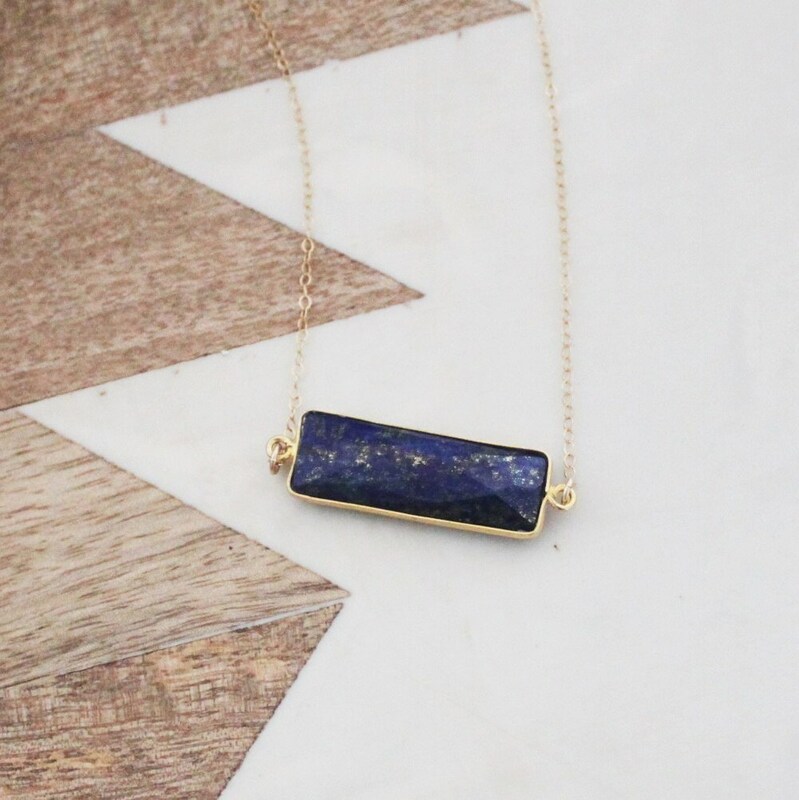 This beautiful lapis lazuli necklace is perfect for layering and also makes a wonderful everyday with it's bold blue color. 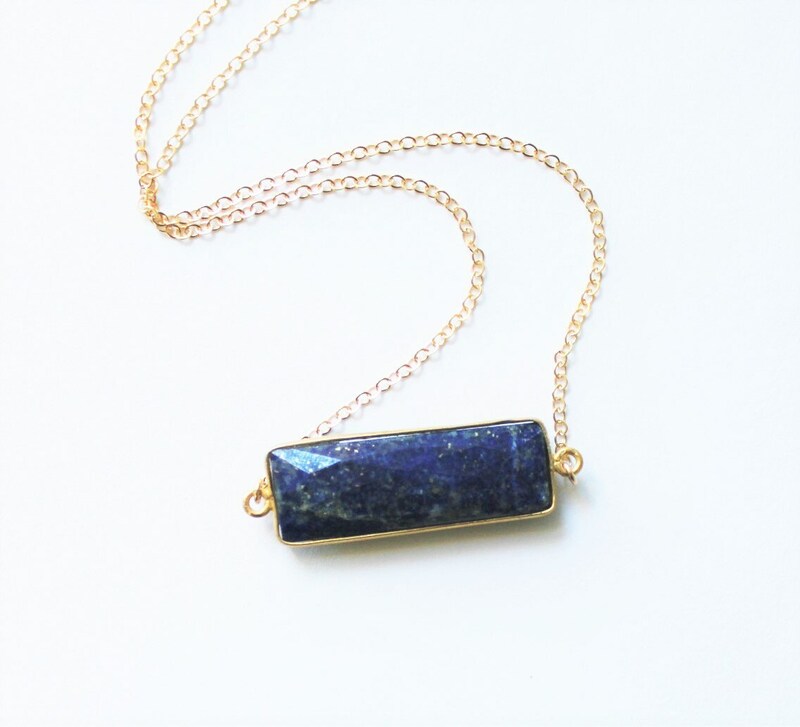 - Each pendant is different and varies slightly from the photo- these are natural stones that are perfectly imperfect. 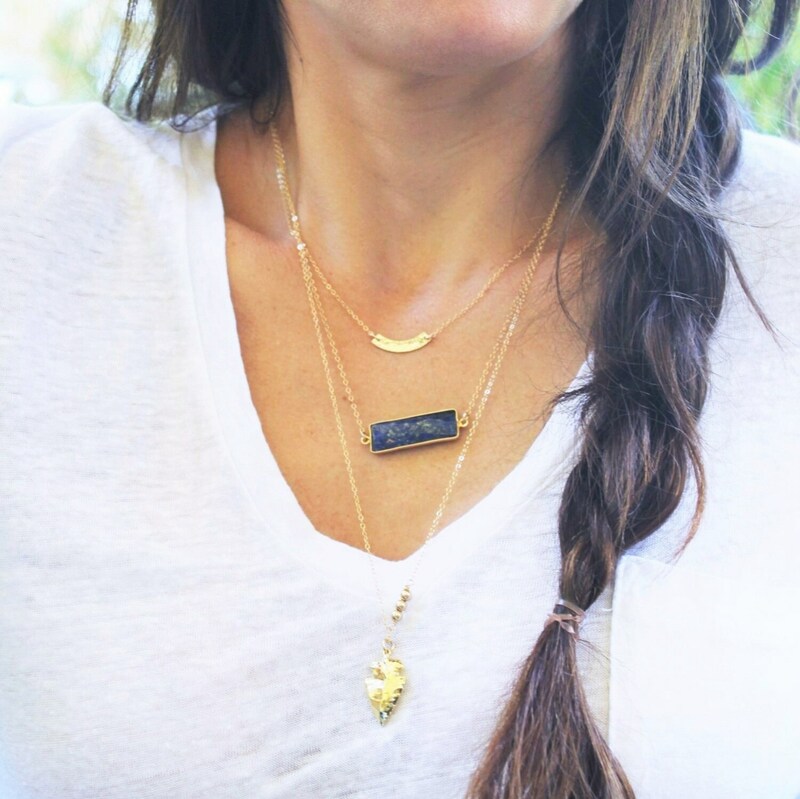 --Suspended in a high quality 14kt gold filled link necklace in 16, 18, 20 or 22 inches. Beautiful! Thanks for the custom chain with the extender, it is perfect! I receive lots of compliments! Love this necklace. I LOVE THE SILVER WREN!